Pomegranates are still in season but they are coming to an end. Buy them while you can, as they are such a wonderful health food. Their many benefits are too extensive for one blog post, so I'll cover them in a few. The whole plant seems to practically burst with disease-fighting antioxidants called polyphenols - from the seed, pulp, skin, root, flower and even the bark of the tree. 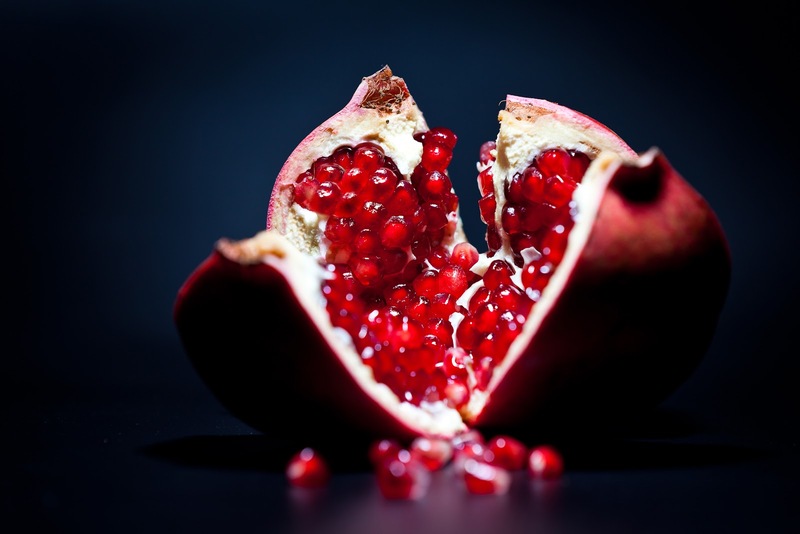 In fact, pomegranate seed extracts and juice have two to three times the anti-oxidant activity of red wine and green tea. And while lots of foods have high levels of polyphenols, what makes pomegranates such superstars is that they are a top source of several varieties of polyphenols, namely flavenoids, anthocyanins, ellagic acid, punicic acid and many others. Hundreds of scientific studies confirm these polyphenols can prevent and treat a variety of diseases, including heart disease, cancer and stroke. 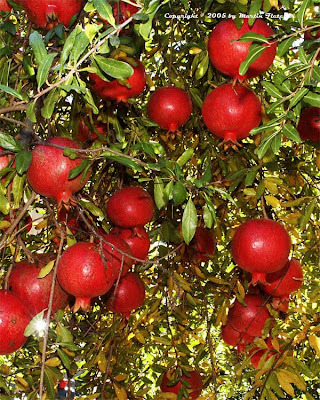 This ties in to the pomegranate being known as "a pharmacy unto itself" in Ayurvedic medicine. 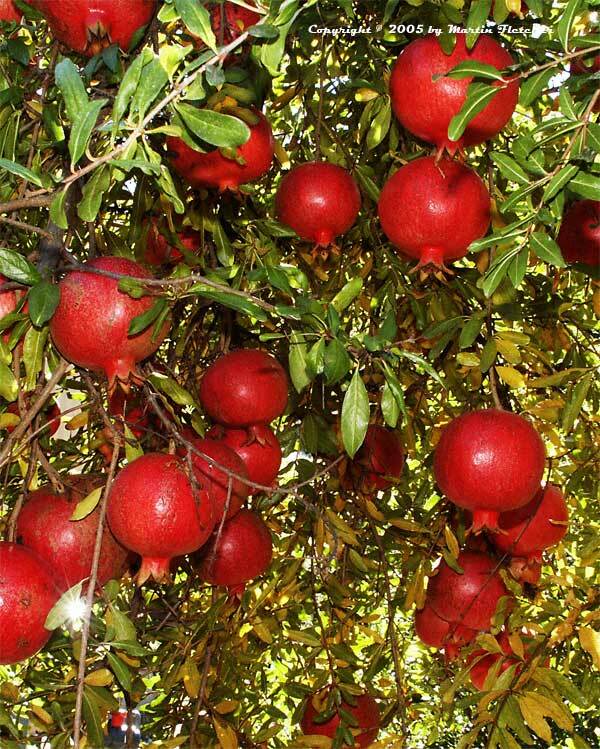 There are several ways to get your pomegranate! Anardana is used a lot in India - both whole and ground in curries, chutneys and as fillings for savory snacks such as pakoras and in flatbreads like parathas. 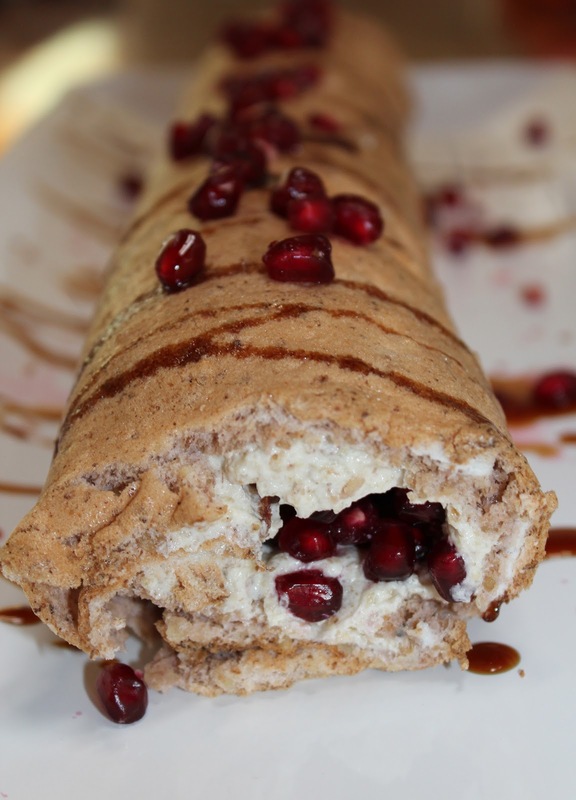 Pomegranate molasses is popular in the Middle East. It is made by crushing the seeds into juice and cooking it until it reaches an almost black, thick molasses-like texture. The molasses have a berry like taste with a citrus tang. I discovered pomegranate molasses about 9 years ago and love it. If you haven't tried it before, make this your new food of the week. I frequently use it to make a salad dressing, or drizzle it on a savory or sweet dish. I also use it instead of sugar in baking - but it is thick so you have to chose recipes carefully! I sprinkle pomegranate seeds on my oat muesli every morning....in fact, I'm getting worried about my supply running dry as its now February and the season is coming to a close. I guess I'll be using frozen pomegranate seeds instead. a pomegranate formula was found to clear up denture stomatitis, a fungal infection in people wearing dentures. 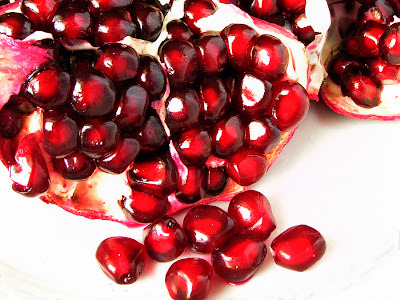 What is your favorite pomegranate dish?